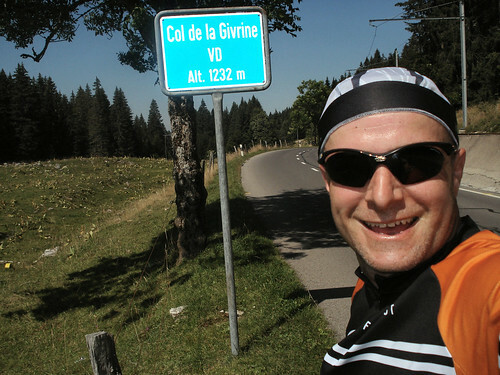 The plan was to climb Col de la Givrine with my road bike, descend to the car then climb a tiny steep road nearby with my mountain bike – but my legs protested the second climb. Col de la Givrine is a scenic not very steep climb in the Jura mountains finishing above St Cergue with good views of Lake Geneva along the way. the road is excellent quality, but the light but regular and fast traffic is enough to keep this from being a highly recommended route. There are too many other nearby and better Jura climbs on deserted roads.